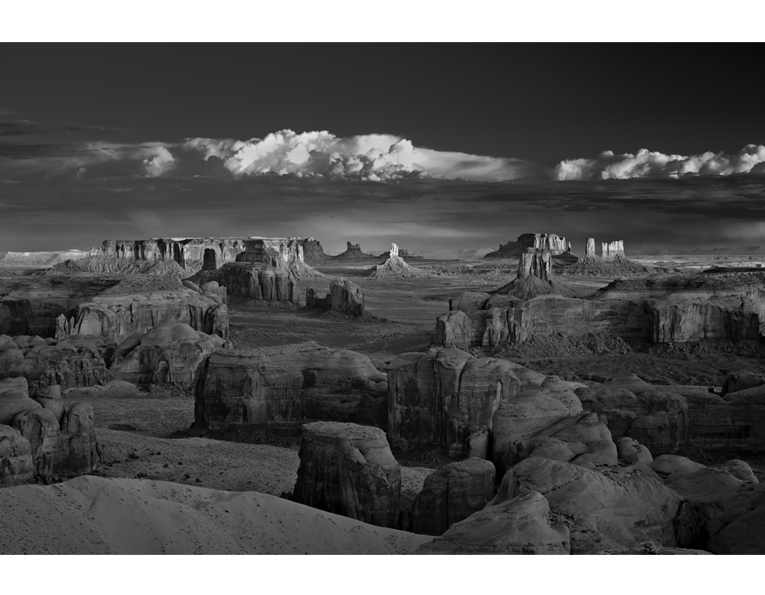 wall space gallery is excited to showcase Mitch Dobrowner’s newest landscape work from Monument Valley and Canyonlands this July & August. 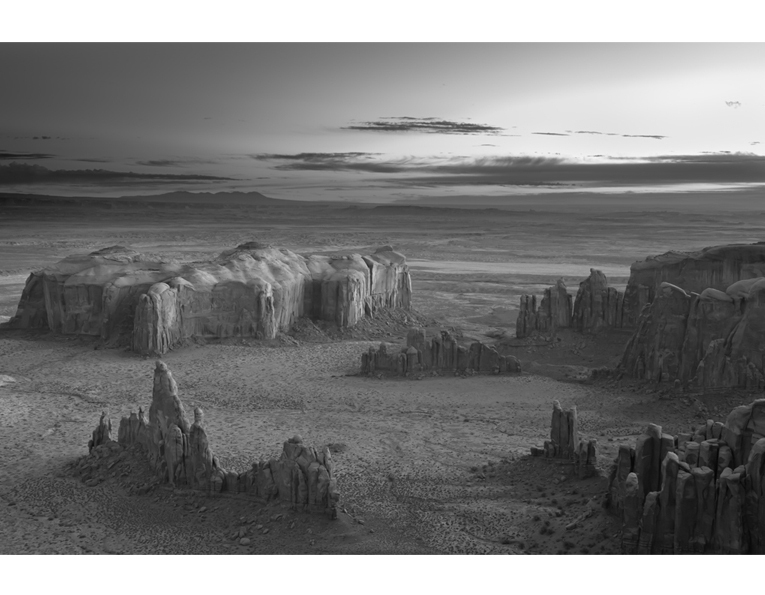 Award winning photographer and gallery artist Mitch Dobrowner’s last exhibition at the gallery was four years ago, showcasing his powerful series of Storms. 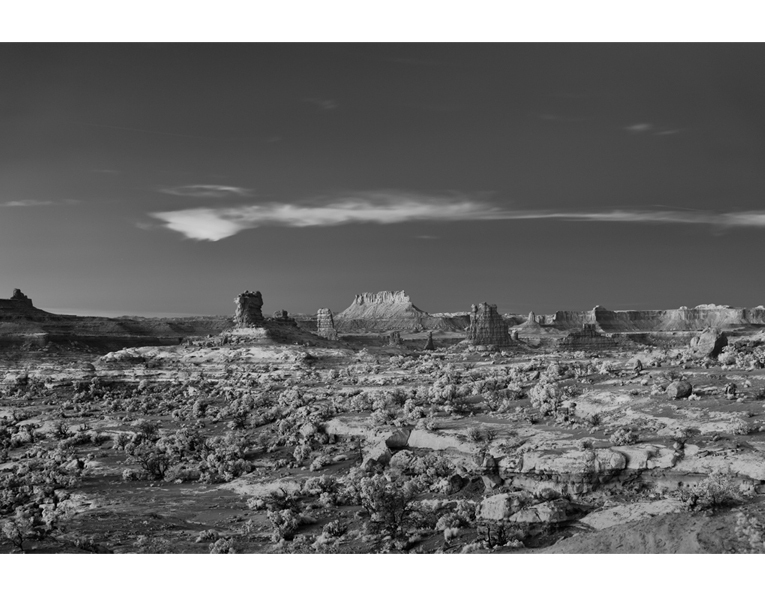 We head back to his roots with the landscape of Four Corners and the Desert Southwest with this group of images. These stunning prints are on the gallery walls through August 31st. Mitch will be in the gallery for an artist talk and reception on Saturday August 15th from 2.30 – 5.00pm. The gallery will be open extended hours during the Funk Zone Art Walk on Friday July 24th from 5 to 8pm. Mitch Dobrowner’s vision of our natural world is unlike any other. 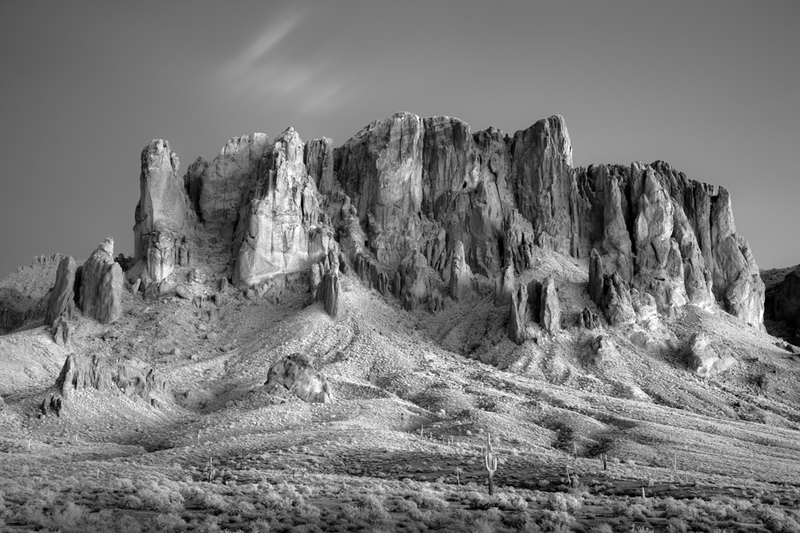 Honoring the best classic black and white landscapes, using contemporary methods, Mitch creates his own unique visions, and in this case, my favorite part of the world, the Desert Southwest. It is this vision that has earned him the Sony Photographer of the Year Award, in addition to awards from the Lucie Foundation and Photolucida. Mitch’s work has been featured in National Geographic Magazine, and on CNN, Weather Channel, LA Times, Time Magazine & The Guardian UK among others. We are proud to have placed his work at the Santa Barbara Museum of Art, and in public and private collections across the country. Growing up on Long Island (Bethpage), NY, I felt lost in my late teens. Worried about my future direction in life, my father gave me an old Argus rangefinder to fool around with. Little did he realize what an important gesture that would turn out to be for me. After doing some research and seeing the images of Minor White and Ansel Adams I quickly became addicted to photography. To make a long story short, I left home at 21, quitting my job, leaving my friends and family to see the American Southwest for myself. In California I eventually met my wife, and together we had 3 children, and created our own design studio – and the tasks of running a business and raising a family took a priority to Photography. During that time I stopped taking pictures. Years later, in early 2005, inspired by my wife, children and friends I again picked up my cameras. Today I see myself on a passionate mission to make up for years of lost time – creating images that help evoke how I see our wonderful planet. 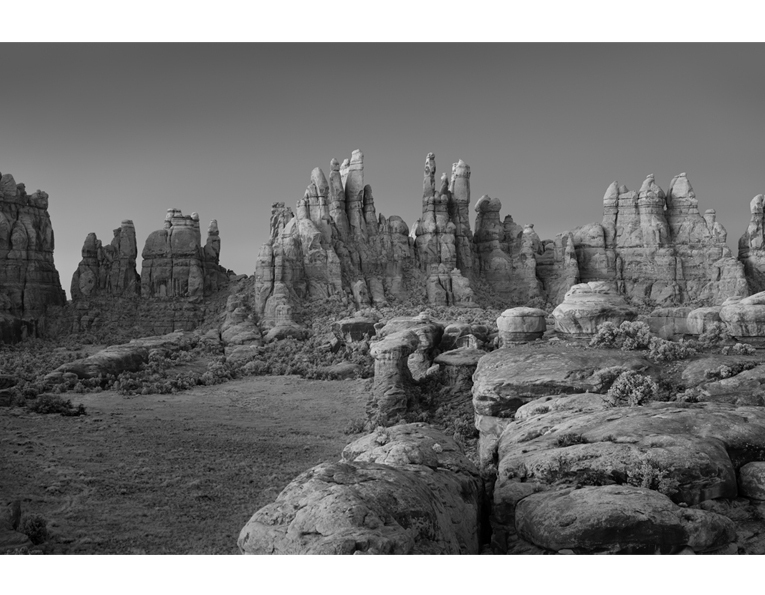 I feel that I owe much to the great photographers of the past, especially Ansel Adams, for their dedication to the craft and for inspiring me in my late teens. Though I have never met them, their inspiration helped me determine the course my life would take. I currently live with my wife Wendy, our 2 sons Jason and Joshua, dog Jimi and rotten cat Nicky in Studio City California. Our daughter Asia lives within walking distance with her husband Brian and their child Eliette. For a look at the exhibition, check out the gallery’s website for more information. wall space gallery is located in the Funk Zone of Santa Barbara, at 116 East Yanonali Street, upstairs from AVA and Pali Wines. The gallery represents the best in contemporary fine art photography from emerging and mid career artists. Gallery Hours are Tuesday – Saturday from 11-5, Sunday from 12-5 and all others by appointment. You can reach the gallery by phone at 805.637.3898 or via email at gallery (at) wall-spacegallery (dot) com. ← Funk Zone Art Walk – July 24th! Mark your calendars.